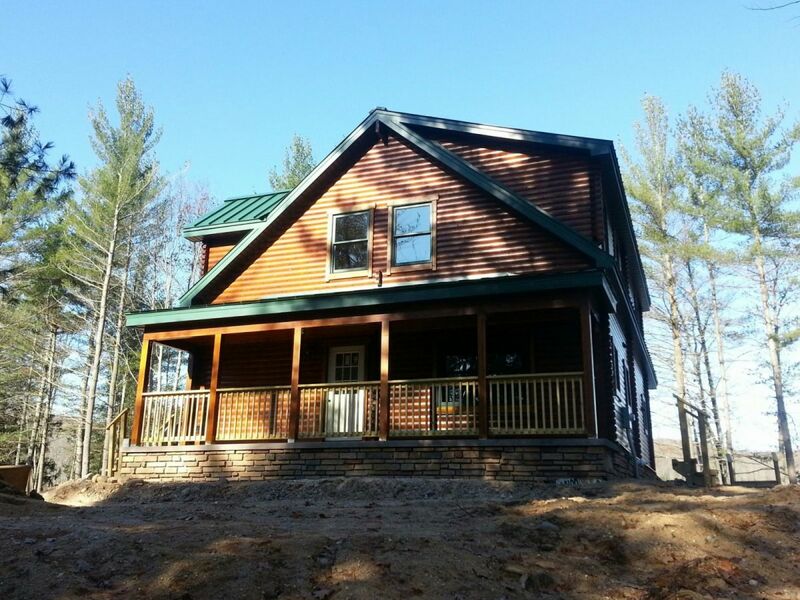 The Timber Ridge was developed from a conceptual drawing of a custom home that was centered around a customer’s needs. The customer wanted this home to portray a 100 year old building with the main goal of having a space for weekend retreats that could double as a hunting cabin. Energy efficiency was also an interest, so a 3″ insulation package was added to our log wall system. Challenges faced during this project were the many design edits made to achieve the exact building that the customer wanted. Decisions varied from one model to another. With time and dedication from all parties and working with design and drafting, all challenges were overcome. We were able to use design and drafting to create an exact design in partnership with the customer. The customer was able to design the home exactly how he had pictured it. Providing shell assembly service by our crews was a huge bonus for the customer.